The inimitable Steven Sande and extraordinary Erica Sadun of TUAW fame have put together an Amazon Kindle book designed to help us help Siri help us. 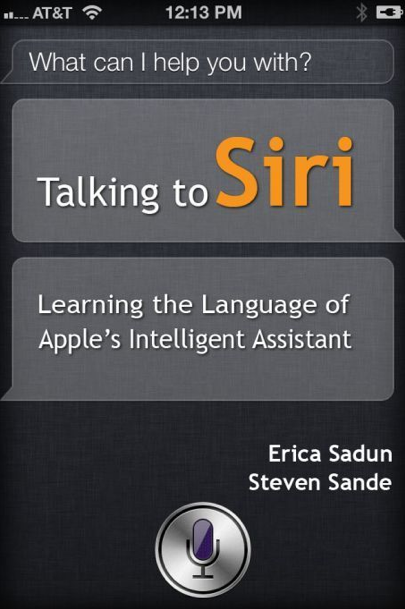 This short, focused book teaches you how to use Siri from the ground up. You'll learn how to achieve the the highest recognition rate as you talk. You'll discover which categories Siri responds to and find out how to make the most of each category in your conversations. You'll discover practical how-to mixed with many examples to inspire as well as instruct. Talking to Siri: Learning the Language of Apple's Intelligent Assistant is a available now for less than the price of a fancy mixed coffee beverage. Go grab it. Then ask Siri where to find a good fancy mixed coffee beverage that you can enjoy while reading it.